Much of the time playing Red Dead Online is spent in the saddle. Horses are not only a way of getting from A to B in the Wild West, they are sentient creatures whose performance improves by bonding with them. One of Red Dead Redemption 2’s many charms is the variety of horses from different breeds available. This is why players are always on the hunt for stronger and faster horses. The best steeds are typically harder to come across or are out of the average player’s price range. 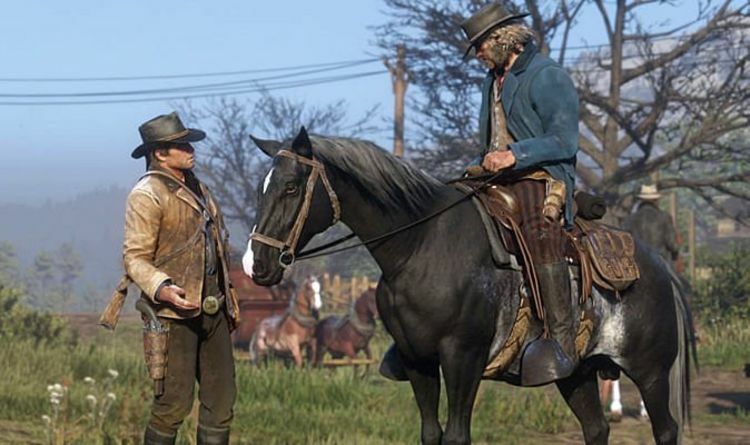 But Red Dead Online has inadvertently made all horses available due to a glitch. A Red Dead Redemption 2 glitch has been discovered that randomly spawns horses. From this specific spot in the town of St. Dennis, you may get any of your desired horses. Simply save the game somewhere near this spot, then exit and reload. Every time you save and exit, you will see new breeds. Using this method earns your desired horse too, even the highly rated Arabians and Tiger Striped Mustangs. The glitch has been demonstrated to work in most chapters. Exploiting this glitch requires repeatedly saving, exiting, and reloading the game. But there exists another trick that works faster. Riding to other directions, such as heading south to the barber shop northwards past the red barn, and then turning around also works. Alternatively stable your horse outside side of the fence that leads directly to the train tracks. Hop over the fence onto your horse and sprint over to the train tracks and stay there for 10-20 seconds and then sprint back to the stables. Then look at the horses from behind the fence or go back in to check and see if any new horses re-spawn. If you return to an empty stable simply repeat the sprint to train and back. Make sure to place your saddle on it your newly-acquired horse. And also ensure you whistle your old horse to follow you to the stable, or you risk losing your old horse.